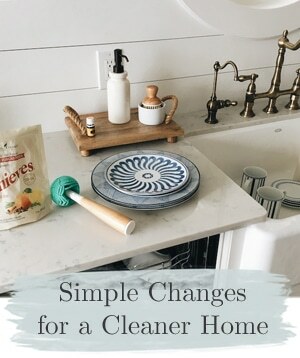 I love studying rooms (Decorating Lessons from Anthropologie and 4 Coffee Table Tips from Pottery Barn) to see what makes their designs feel comfortable and inviting. And you know I love Sarah’s Farmhouse and Sarah’s Summer House. I have watched and re-watched every episode, and now I’m watching Sarah 101! Can’t get enough Sarah! Here are some lovely images of Sarah Richardson’s rooms, and my own observations! 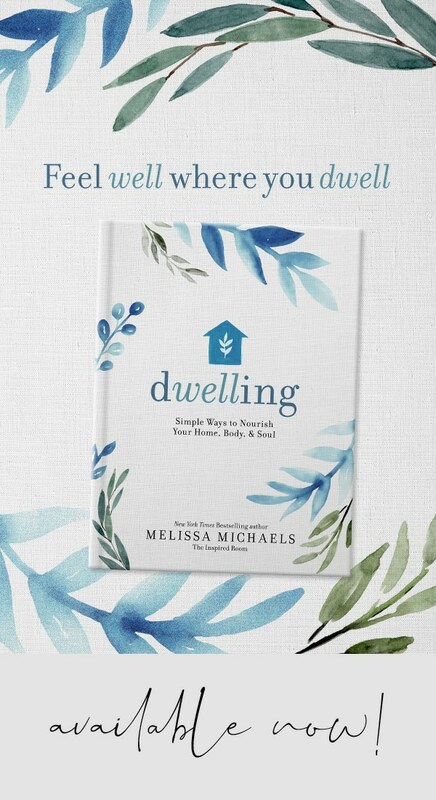 Design spaces that draw you in and make you want to stay awhile. 2. Create smaller conversation areas within a room. Two chairs and a footstool invite conversation and connection. 3. 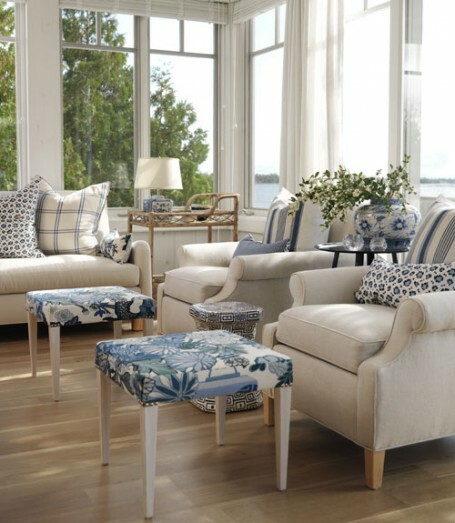 Using footstools and end tables all around a room make a space useful and comfortable! These are two key elements to a comfortable space. If you can put your feet up and set a drink down, you’ll feel at home in a room. 5. Add layers of color and pattern. Be inspired by Sarah’s fearless use of color and pattern to create a lively yet cozy room! Notice, she has a large floral, a large geometric, and a small geometric on the bed. And the quilt on the wall picks up all the colors from the bed in a medium pattern. Are you watching Sarah’s 101? 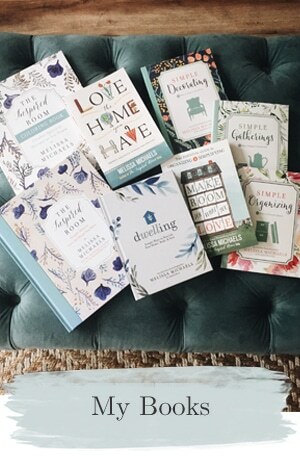 HI LOVE everything about Sarah and this cottage series spoke to me more than anything! I taped it and watched it over and over AND did you see her feature in Country Living? LOVE! I took 2 ideas away right away….simple one she placed large wicker baskets under her coffee tables to hide toys and I like how she hung the quilts in the guest rooms. I have many lovely old quilts and I think this is a great idea and space saver. What day does it air? I’ll have to DVR it! Yep, I love me some Sarah! Her timeless, classic style is one that I ooh and ahh over time and time again. Even the designs she did on Room Service still look beautiful all these years later. Oh, no: what have I missed??? I knew that a new show was in the works… arghhhhhh! I loved Sarah’s Cottage (my absolute fave!) & the farmhouse on Sarah’s House, too. My fantasy shopping day would be to go with her & Tommy to one of those outdoor antique markets & a few of those antique shops **like the one where she found the bathroom vanity for $150** SIGH!! Do you remember the episodes on Design Inc about “Sharon’s Living Room” & “Sharon’s Bedrooms”?? I had to save those episodes on the dvr… you can check them out on the design inc website if you don’t remember them. The farmhouse table & chairs are stunning!! I love Sarah Richardson”s style. Met her & Tommy in person at the CGTA Gift Show in Toronto. She also has her own line of paint colours. She is my favourite Canadian designer! I LOVE the Sarah shows! 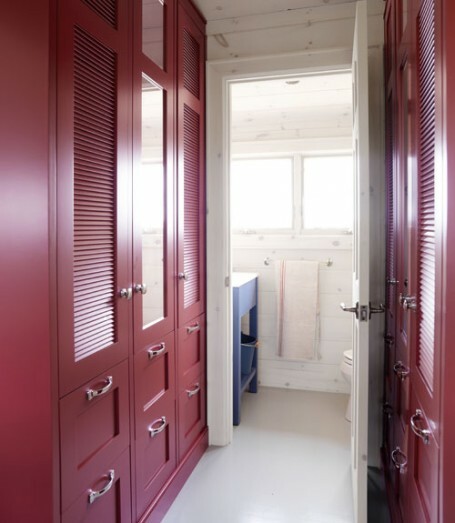 Thanks for summarizing – that red hall of closets leading to the blue in the bath is stunning. Love it!!! 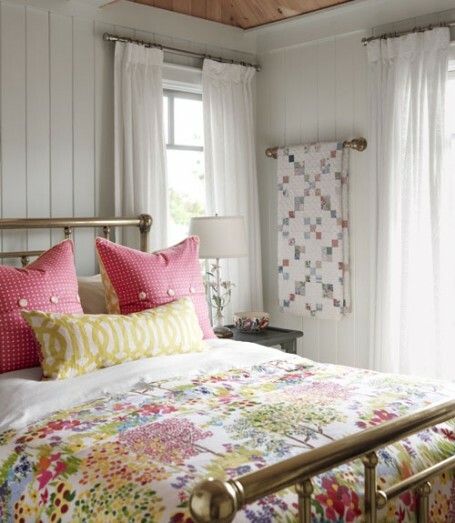 Yesterday on FB Country Living asked what our favorite room was in Sarah’s Summer House. I responded that I loved the Living Room and that I could sit and day dream and look out those lovely windows all day. totally agree about loving Sarah. She has provided much needed inspiration for our home. Finding her on HGTV is not the easiest. Guess they just don’t get we are tired of real estate shows and want more good decorating shows like Sarah. Great tips. I second guess my decorating all of the time, so these posts help a lot. I remember watching an episode or two of Sarah’s Farmhouse. Is her series still on tv? When? I too was totally unaware of Sarah 101. I don’t view much TV but did enjoy her other two shows. Will make a point to watch this one as well. Love all the images and tips on design. Would love to curl up in the first picture with a good book! Heaven. Do you KNOW how much I adore SARAH! Can’t BELIEVE her cottage is on a PRIVATE island! She’s got some GREAT style…and a fabulous assistant! I just know your home must be so LOVELY! I love studying rooms too. 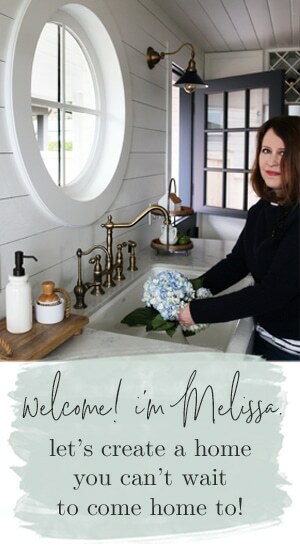 I have never bought anything from most of the home catalogs I have, but studying them is one of my favorite ways to get inspired for diy projects! I love Sarah but I didnt know about this one either. Anyone know when it airs so we can set our DVR’s? I love Sarah Richardson and watch her style shows over and over again. I love her comfortable style, her personality and her team. Thanks for sharing your love of decorating. I too, love to look at rooms and see how they are decorated. I love Sarah & Tommy! I’ve watched all of her shows & have Sarah 101 on the dvr list. 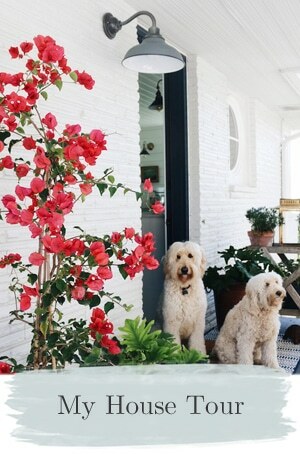 I love the arictle in Country Living on Sarah and her summer house. Her use of color is absolutely stunning! Thanks for the tips! 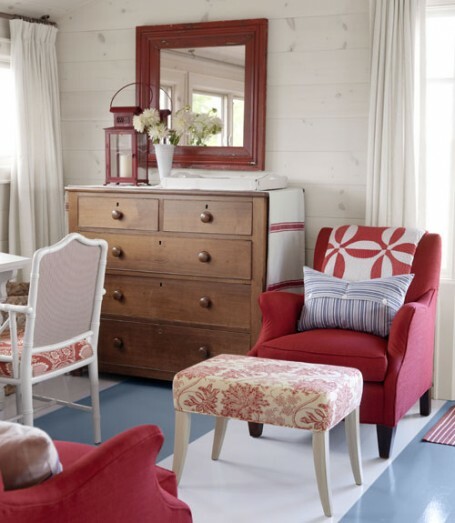 Sarah is so inspiring in her choices of fabrics and the layering way she pulls a rooom (home!) together visually. I watch everything of hers that I can!! I am in total agreement: love Sarah Richardson. I have Sarah 101 waiting on DVR for me, but would be totally satisfied to live in the farmhouse or the cottage. We don’t have cable- but when we did, I watched her some. I loved her style– but am not a big TV watcher… so now you know why we don’t have cable anymore. I did recently pick up Country Living Magazine with her quilted bed on the cover– didn’t even know it was hers until I looked inside. But was happy to read the whole article. Love all these tips and the big doses of Color! Hello. Do you know what issue that was that it was on the cover? I cannot get enough of Sarah. She is brilliant! Love your tips. You had me at “Sarahs Cottage!” I cannot get enough of her work! Ever notice that many items in the room, by themselves, are usually just something we see every day, but the way she pulls them together, her use of color and textiles, is understated and eye popping all at once. Thanks for sharing this series with us! Love Sarah’s style and the way she can choose multiple strong fabrics for a small space and still have it look cohesive and cozy. Love watching Sarah and Tommy work on a project together. On Design, Inc. when she was paired with other associates it wasn’t nearly as entertaining as when she and Tommy work together. Sarah is my favorite designer. I watch her shows. Your posting was right on target. Thanks. Great tips – I absolutely love Sarah & her sense of style! I didn’t realize Sarah had a new series out. I loved her Sarah’s Summer Cottage and watched re-runs each week. I love Tommy Smythe! I’ll have to set up to record that program. I’ve never heard of Sarah 101 but I like what I see. I’m in the process or remodeling my small apartment and it’s just so hard. It’s difficult to do much with a small space. 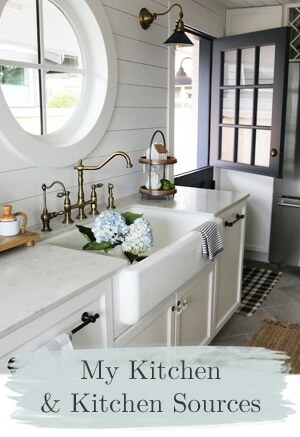 Loved this post though-and got some inspiration for my living room with the small end tables. I’ve never heard of the show, either, but I’m loving what she’s done! Love Sarah& her design team!!!!! The cottage photos are in a file, when my husband & I retire in 4 yrs were building a home in Maine, the interior will be based on the cottage!! Can’t wait! !